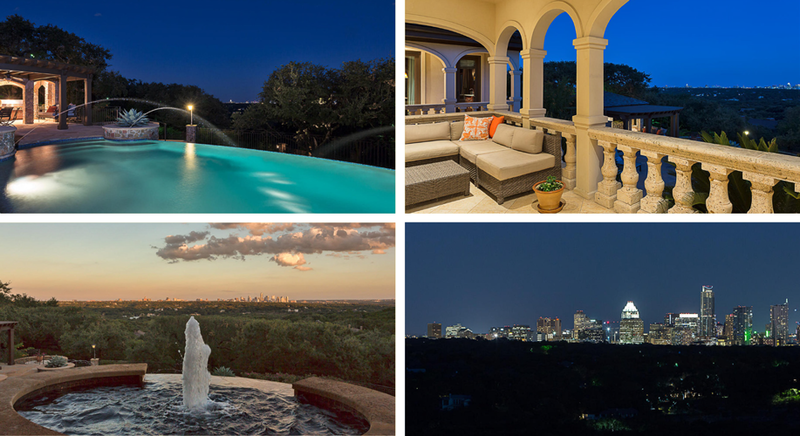 Resting upon a hilltop in one of the most prestigious neighborhoods in Westlake lies this grand estate with spectacular panoramic views of the city and lake. 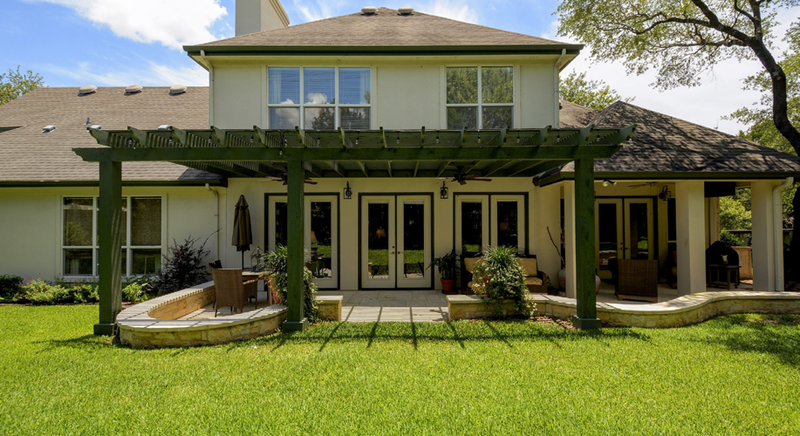 Offering walls of windows throughout, this property encourages you to enjoy the magnificent backyard with multiple lounging spaces and a decorative pond. The lush grounds offer gracious terraces and balconies to take in the gorgeous sunsets and sunrises, while the covered patio with outdoor kitchen invites you to move outside for al fresco dining. 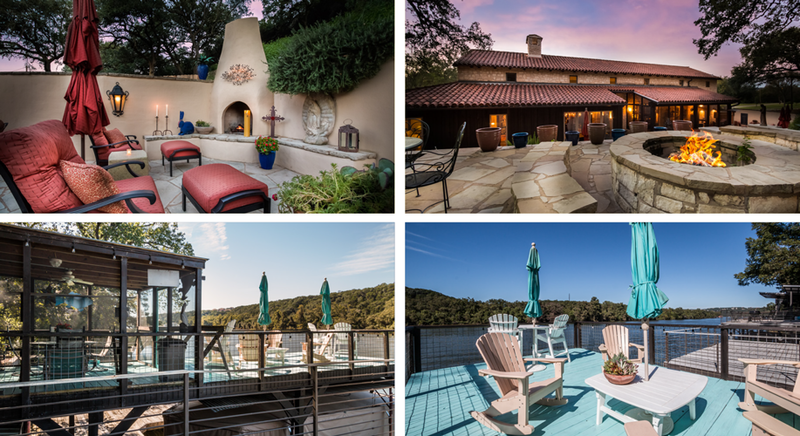 When the heat gets to be too much, you can take a dip in the infinity pool with water features and then later, when the sun slips below the horizon, you can gather around the fire pit to warm up. 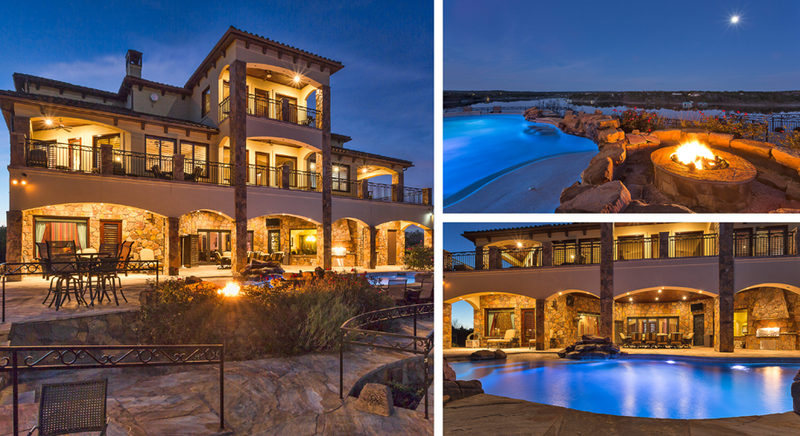 Situated on the pristine shores of Lake Travis, 1226 Travis Bluff is a personal paradise. 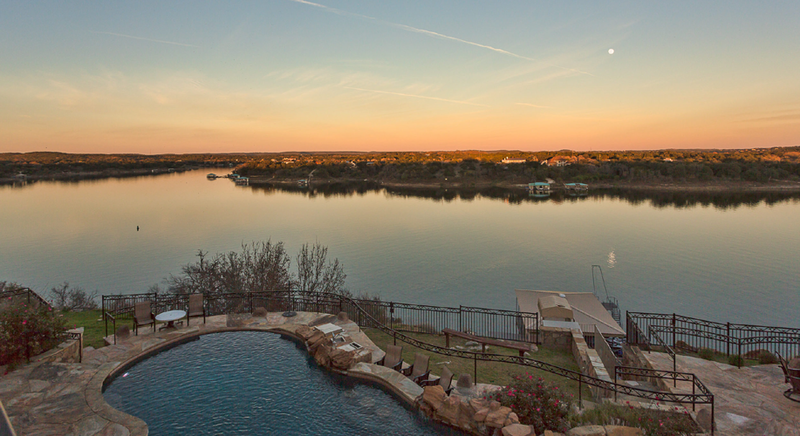 This magnificent retreat located near the award-winning Barton Creek Lakeside golf course offers panoramic views of the hill country and lake, and was designed with the entertainer in mind. 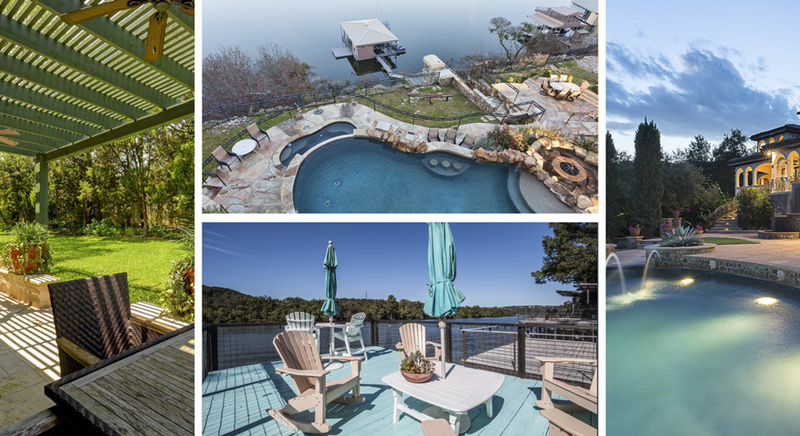 With access to the water and a motorized tram for the private dock with two boat slips and room for four jet skis, it is easy to enjoy everything lake living has to offer. 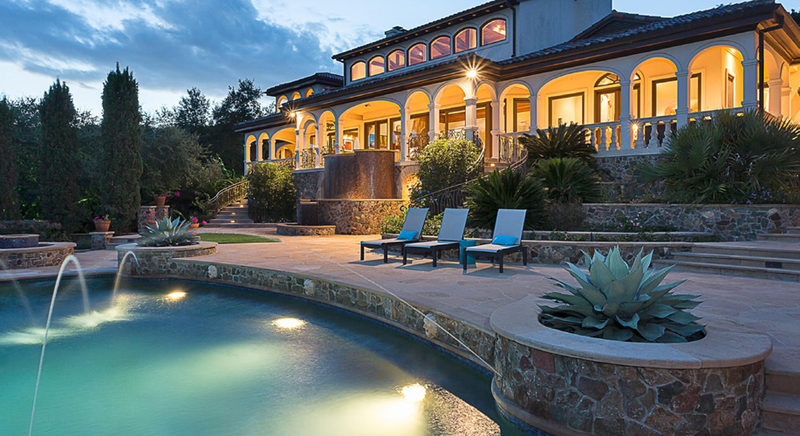 Aside from the lake, this estate boasts a spa and large pool with a swim-up bar. When the sun dips below the horizon and a chill hits the air, friends and family can gather near the fire pit to warm up and take in the vast sky and calm water. The abundant outdoor living spaces and balconies create the ideal space for dining al fresco day or night. 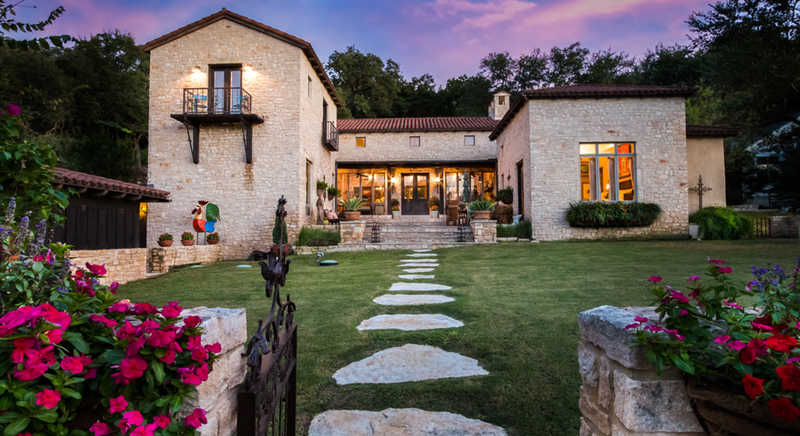 This timeless Tuscan Farmhouse with artfully combined contemporary sensibility and the Tuscan vernacular is a slice of Italian paradise located in a quiet neighborhood near the shores of Lake Austin. 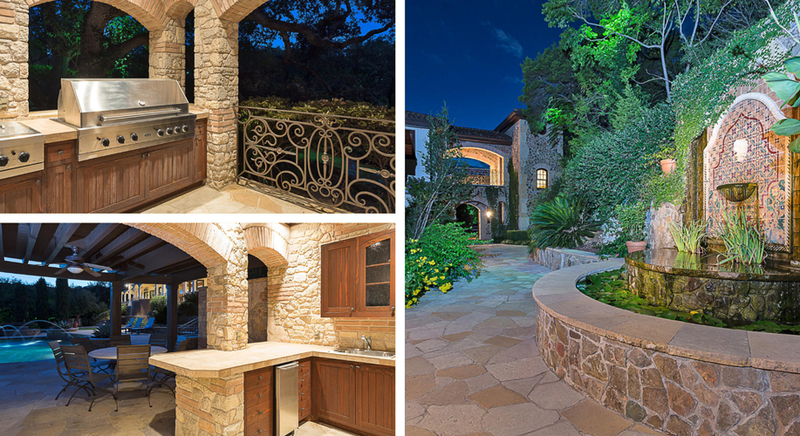 It is easy to feel transported to an old Italian villa when you glimpse its Italian-inspired elements throughout. Beautifully designed for the ultimate indoor/outdoor living experience, the grounds offer a plethora of comfortable and inviting places to lounge and enjoy the stunning views. Off of the great room is a screened porch which leads to an outdoor patio. 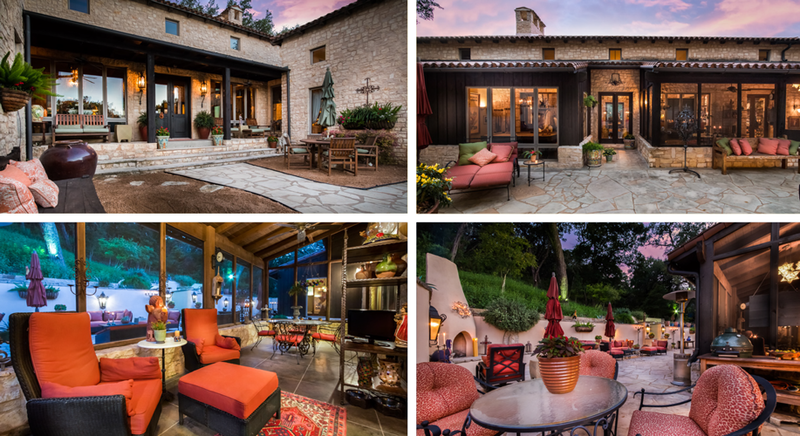 You can choose to warm yourself next to the unique fireplace, or gather around the fire pit for some s’mores fun. With the multiple sitting areas, there is plenty of space for al fresco dining. 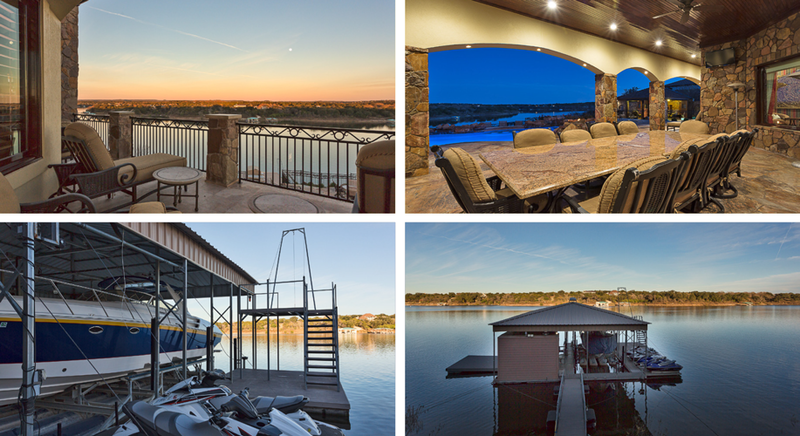 A short golf cart ride away is a private dock with one boat slip and a party deck on top with a portion screened in for year round comfort. 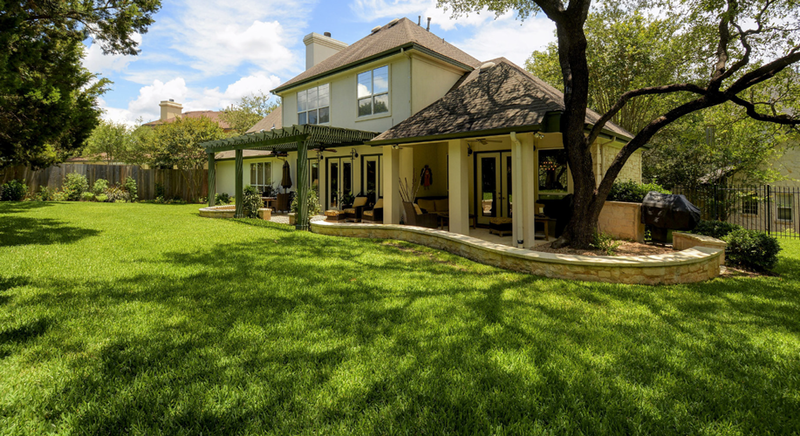 This beautifully updated home in the Eanes School District provides a large, professionally landscaped backyard suitable for any memorable gathering or evening in with family. The expansive back patio offers ample room for a grill and outdoor dining set to enjoy barbecues or a glass of wine after dinner. 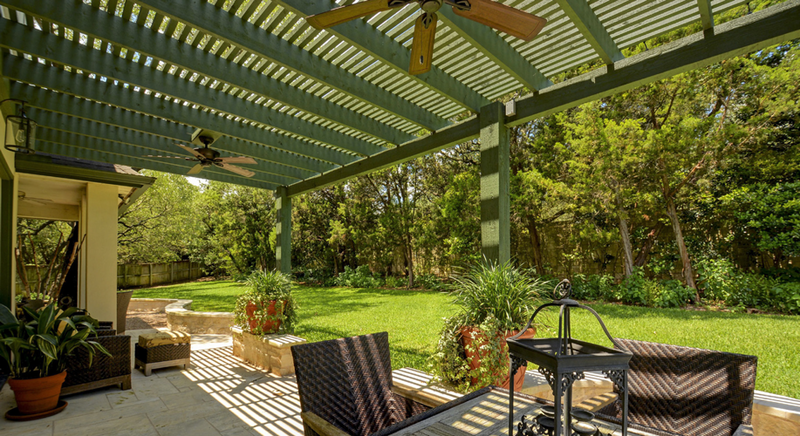 With its roof, arbor and ceiling fans, parties can effortlessly spill into the backyard while still escaping the Texas sun. Though there is plenty of room for a pool, the spacious yard affords children and pets the opportunity to run and play, while still remaining low maintenance for the homeowner.